"The trip was very well put together. I had an amazing experience which was also great value for mone . . . "
"The combination of coastal and inland attractions worked very well. The selected hotels, food & staf . . . "
"The tour was excellent value for money. The guide was very informative and entertained us well. The . . . "
"The itinerary was marvelous & met our every need very well. Happy with everything all the way throug . . . "
"The itinerary was great. Hotels, food and staff was excellent. Our guide and accompanying staff were . . . "
"Our itinerary was perfect. Our tour guide & driver were fantastic, very polite and informative. The . 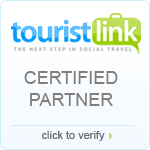 . . "
"Itinerary was fantastic. We covered so much. Very enjoyable trip. Well worth it. Kaudulla National . . . "
"Very organized itinerary. Very good, polite & knowledgeable Guide. It was a very good experience. . . . "
"Thank you for all your work in organising the tour for me, it was one of the most memorable experien . . . "
Sri Lanka, on the southern tip of India, is known as the ‘Pearl of the Indian Ocean’. While some argue that the lush island is in fact the ‘Tear Drop of the East’, and some just want to know, ‘where is Sri Lanka’, the general consensus is that lanka holidays provide one with fantastic adventure. The wonderful thing about this island nation is that everything is in close proximity to each other, and yet so very different in climate and spectacular views. There are so many things to see and places to visit; from luxury hotels by the Indian ocean closer to the business capital that is Colombo, to the far flung attractions such as the matchless beach in Pasikudah on the North East of the Island where the weather is warmer and the food so very different to the Southern bend on your map that leads you to the city of Galle and its majestic fort or to Bentota with its turtle hatchery. We at Getaway Sri Lanka will provide you with the perfect sri lanka holiday deals, travel tips and also keep you informed on the best time to visit sri lanka - in relation to the best travel deals. If you are an experienced traveler, or a first time explorer, you will by now realise that trip advisor will also play a big part in helping you plan weekend getaways, vacations and also more comprehensive plans if you wish to tour sri lanka. As the climate is relatively warm throughout the year, there is no particular season to travel, but we would recommend certain parts of the island during certain monsoon seasons or dry spells that would ensure you with the ideal package sri lanka has to offer you. Getaway Sri Lanka is also available to assist you with your sri lanka visa, as part of our package. We also provide you with tour information and take you to UNESCO approved cultural sites that are a vibrant part of sri lanka tourism.